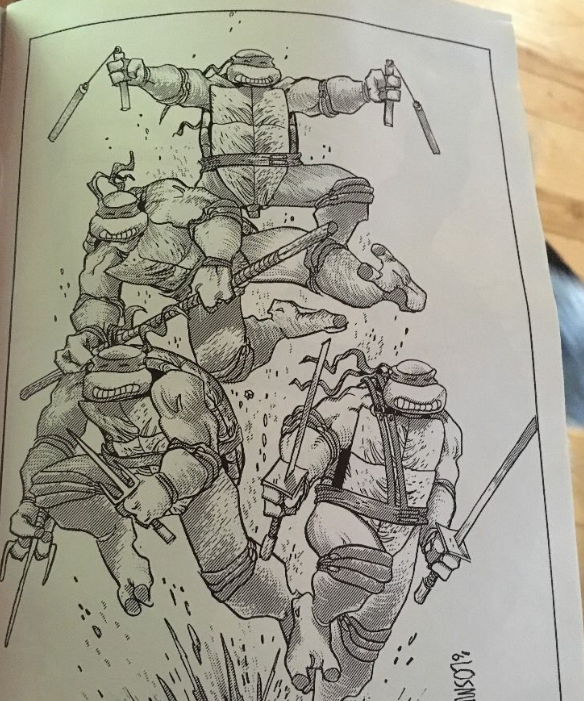 TMNT Entity: Cowabunga Comics: TMNT Benefit Book for Friends of Children, Inc.
Cowabunga Comics: TMNT Benefit Book for Friends of Children, Inc. Originally published by: Friends of Children, Inc. 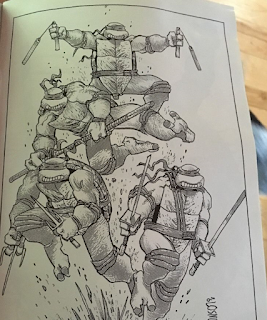 This 15-page booklet (16 pages if you count the index) is a collection of new and pre-existing TMNT artwork. 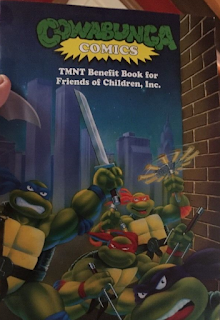 *This artbook from Friends of Children, Inc. was created in conjunction with Mirage for the Cowabunga Weekend charity event in Northampton, Massachusetts. 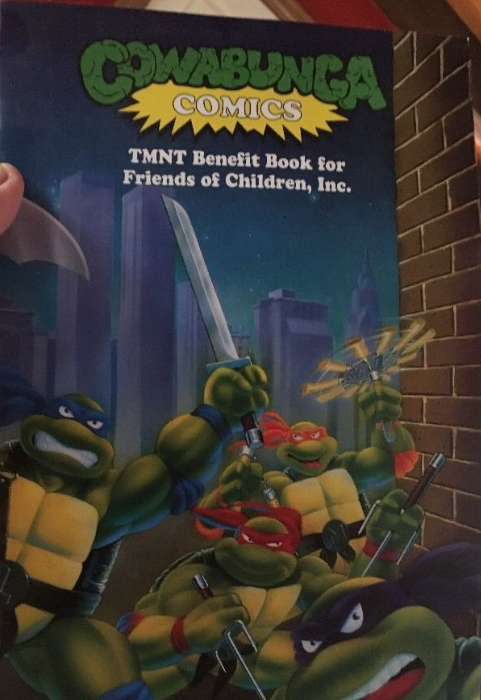 *The cover is taken from TMNT Adventures Vol. 1, Tundra edition, by Michael Dooney. *Special thanks to The Technodrome Forum users "Cheesebrush", "Wilddiverse" and "Rich" for cluing me into this thing's existence and providing a contents listing. I don't actually own this thing, if the clumsily cropped photos taken from an eBay auction didn't give it away. But you know how I love to be thorough, right? Yeah, not his masterwork so far as pin-ups go, but it's fresh content you won't find anyplace else (I think). Same goes for the original Lavigne and Bode' pieces, though Berger's pin-up looks like he put more than a lunch break into it. Anyhow, that's one more obscure little oddity I can check off my list of things to catalog. I had the luck to grab 2 copies recently.